It had been awhile since we’d made a pilgramige to the WTP, and Mr An Onymous had wanted an opportunity to try out the new lens. All 300mm of it. So it seemed in view of the really hot days, an early morning and then somewhere nice for lunch and a coffee, preferably inside and with air-conditioning made a lot of sense. We went down along the area east across Little River from the Bird Hide. The track takes a bit of a run along the narrow edge between land and sea, and usually has a 50metre section that is, well, rough. Its just a collection of rocks that the waves pound remorselessly. As such, ok with the Landcruiser and the high clearance, but nigh on impossible in the little car. However on this trip we discovered that the water rates had been making good use of themselves and the kind people at WTP had managed to get a surface over the short section and it is among the best parts of the roads down there. Excellent. Thanks to all as it save me heaps of time not having to double back to get around the former rough area. We parked and waited. 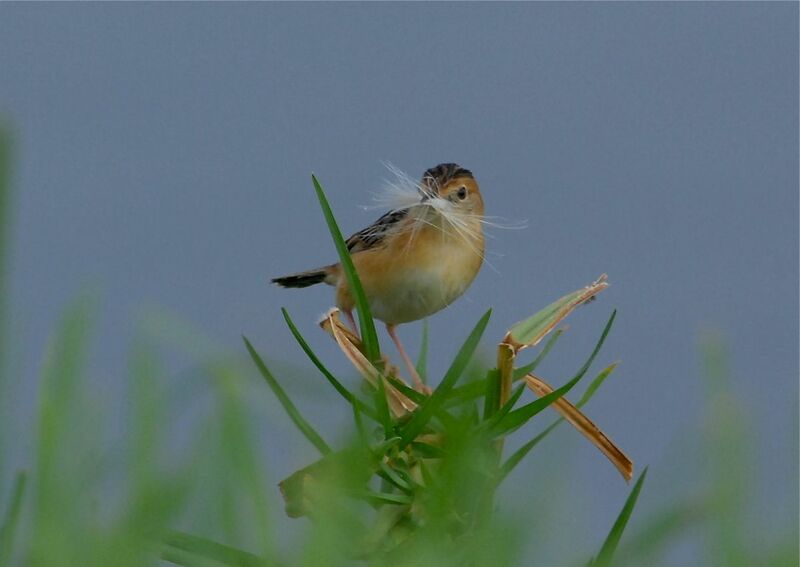 No Sea-eagles, but a pretty obliging Golden-headed Cisticola with its nesting activities kept us busy for quite awhile. 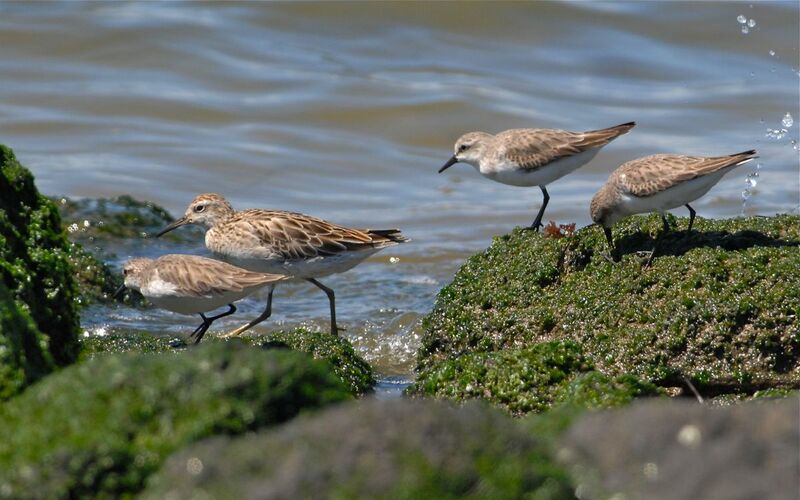 We even parked on the new tarmac, and photographed waders as they worked among the rocks and sand. Nice one. 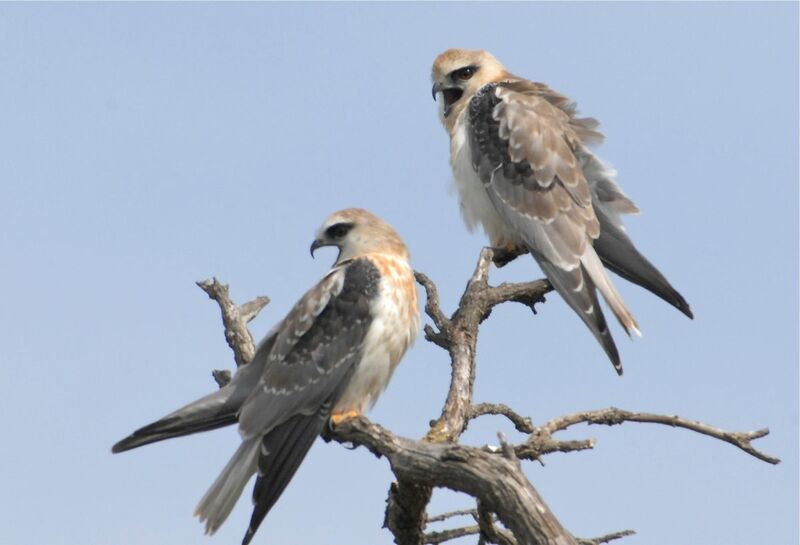 Down near the area called The Borrow Pits, we came across a couple of recently flown Black-shouldered Kites. Guess they’ve only been out a week or so, still have the beautiful cinnamon and ginger chest and head feathers. Mum and Dad are still providing food and it was interesting to watch a couple of food passes. And on the way back some Whiskered Terns entertained us with their antics as they swept along the bunds catching the tiniest of insects. 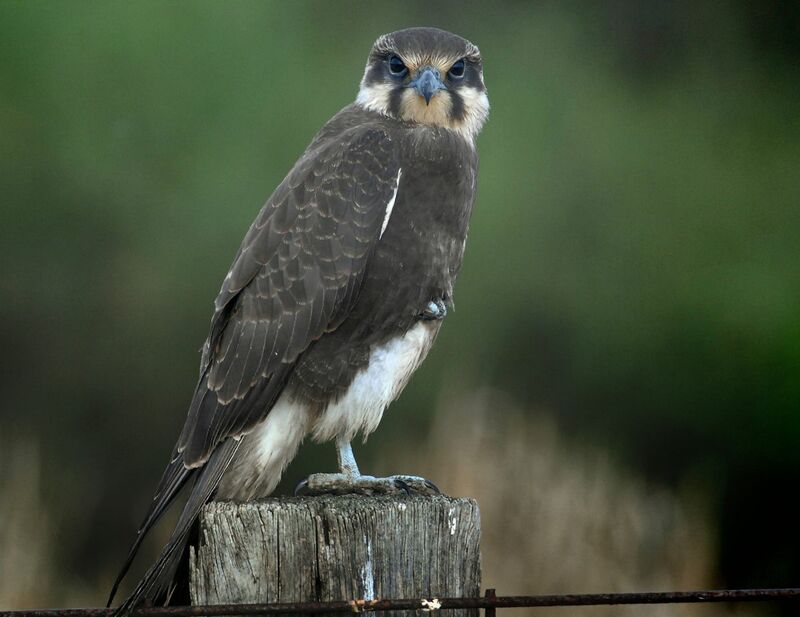 And the big lens proved its worth with the shot of the day an Australian Hobby in brake, dive and turn mode with all the feathers out, and the tail spread at different angles as it made an amazing change of direction. My lens missed it completely. But. More power to him. We’re off again to Goschen at the end of the month. Brown Falcon at hunt in the early morning light. 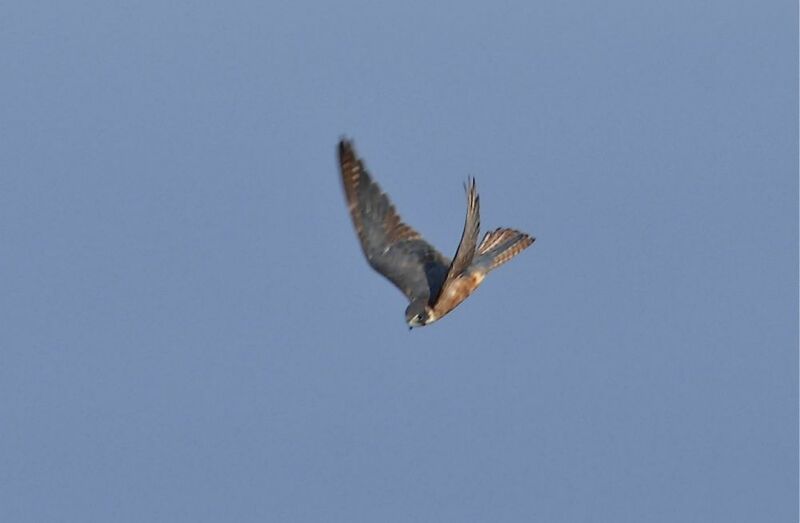 Hobby at remarkable speed turn. Two juvenile Black-shouldered Kites waiting for Mum to arrive with a mouse. They had just spotted her coming and began such a racket.